I can’t get enough of color shifting polishes, can you? This is Boo from the Chameleon Collection by Dance Legend: This is two coats of Boo plus top coat. What do you think of Boo? And how do you feel about these ultra chameleon chrome flakies? 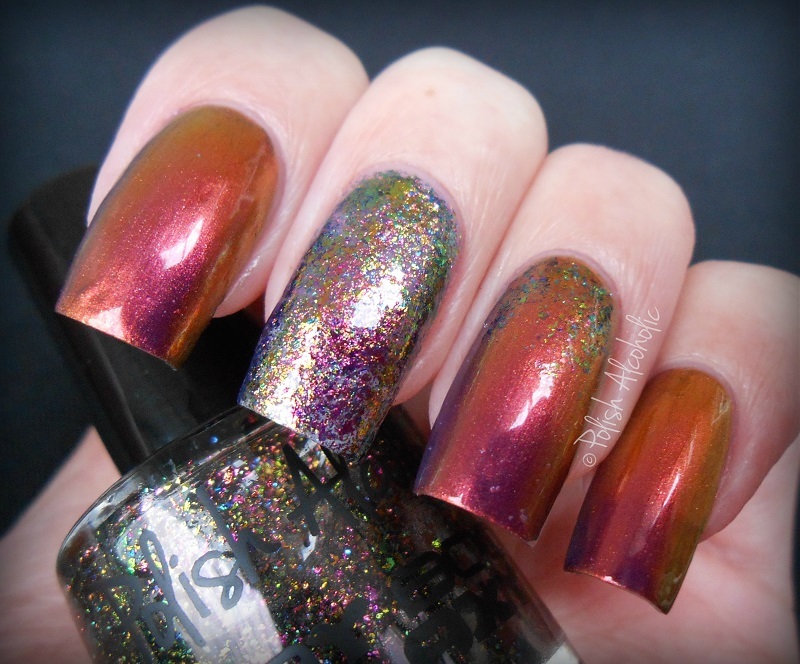 This entry was posted in Dance Legend and tagged boo, chameleon, dance legend, dance legend boo, flakies, ucc flakies, ultra chameleon chrome flakies by Polish Alcoholic. Bookmark the permalink. oooh my god glitter. nice combo! I don’t know if I’m more in love with YOUR polish or Boo! Both are so glorious for me! This is very pretty on you! Ooh, so pretty! 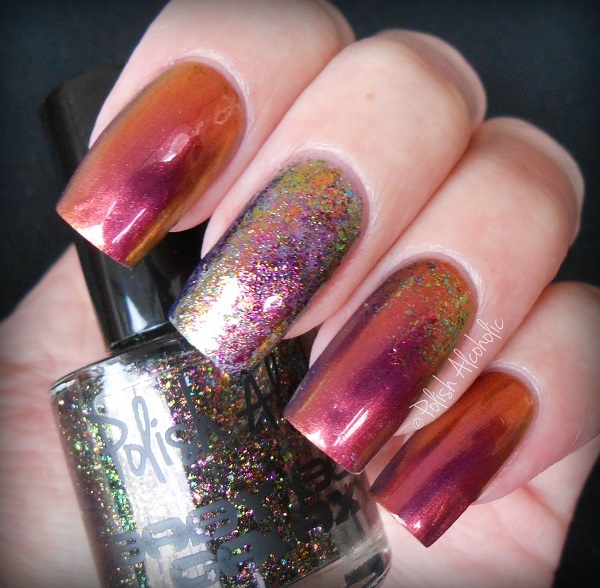 I love all those flakies – they wear so well and aren’t a nightmare to remove.